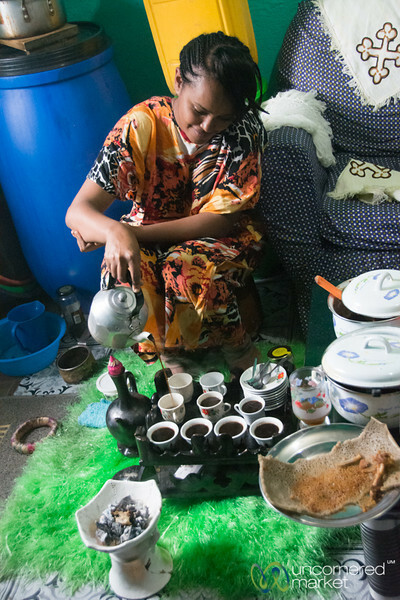 Photos from all stages of a traditional Ethiopian coffee ceremony. 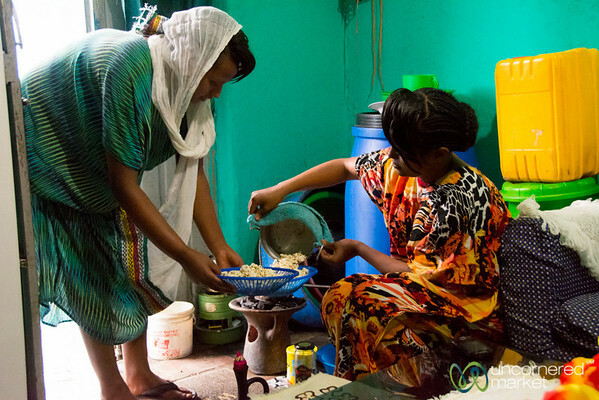 Roasting green coffee beans as part of an Ethiopian Coffee Ceremony in Gondar, Ethiopia. 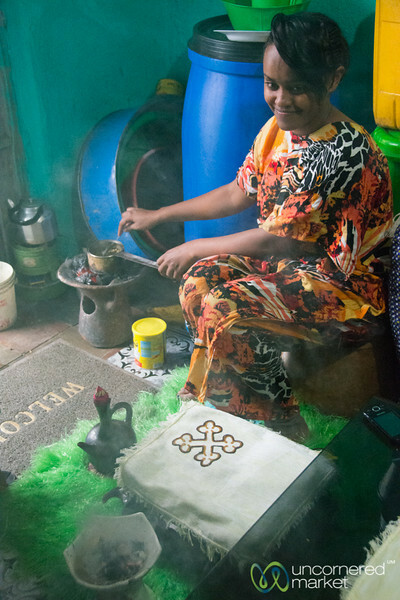 Roasting green coffee beans and burning frankincense as part of an Ethiopian Coffee Ceremony in Gondar, Ethiopia. 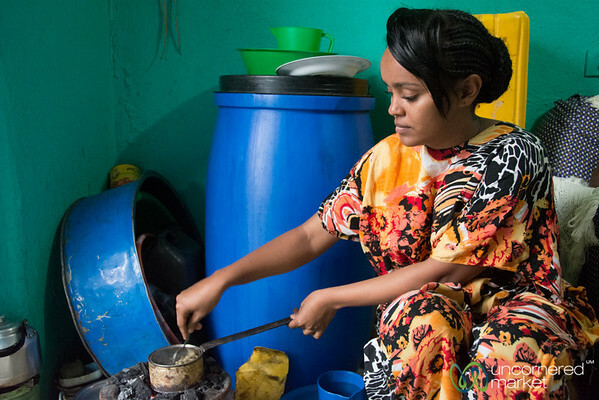 Pouring the strong, rich coffee into small cups at the end of the Ethiopian Coffee Ceremony in Gondar, Ethiopia. 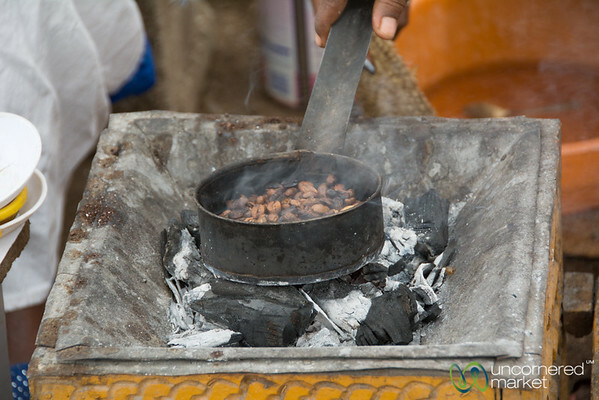 Roasting coffee beans as part of an Ethiopian coffee ceremony in Aksum, Ethiopia. Pouring coffee from the jebena, traditional coffee pot, into small glasses as the Ethiopian coffee ceremony comes to an end. Aksum, Ethiopia. 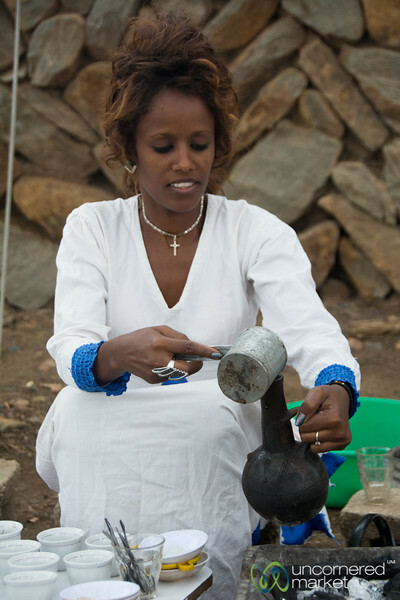 The beautiful host of our Ethiopian coffee ceremony in Aksum, Ethiopia. 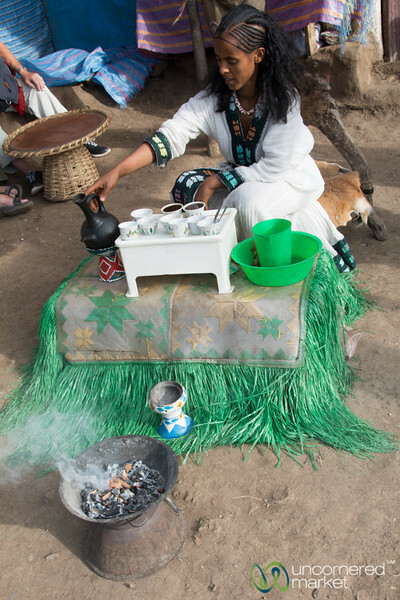 Taking part in an Ethiopian coffee ceremony in Aksum, Ethiopia. At the front you see burning frankencense and the host is pouring the perfect strength of coffee. 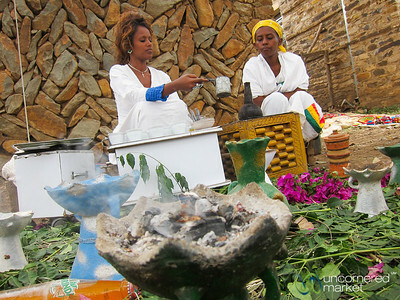 An Ethiopian coffee ceremony near Lalibela, Ethiopia.